Top scorers Lai Wei Xian, Lee Di Sheng, Ngeow Yoke Keng and Tan Li Lian who successfully obtained 4 A*s each beamed with pride and even shed tears of joy upon receiving their outstanding results and learning that they have successful gained admission into top universities around the world. 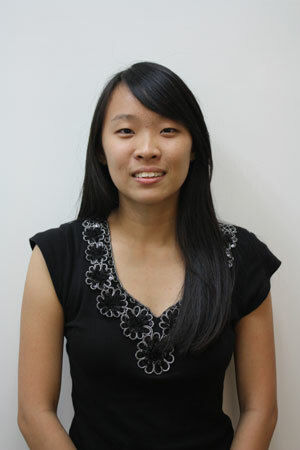 Tan Li Lian has Imperial College London in mind for a degree in Mechanical Engineering. Wei Xian, a former student of SMJK Tei Yuan in Perak, has been offered degree studies in Economics and Finance at the prestigious Hong Kong University (HKU) in September 2013. “I was elated when I received the offer from HKU as it is one of best universities in Asia, if not the very best. The Bachelor of Economics & Finance program is also extremely popular with a huge number of applicants. To be able to pursue my studies there is certainly a dream come true for me,” said Wei Xian who aspires to be an economist in the future. Tan Li Lian, whose love for math and sciences drives her passion for a degree in Mechanical Engineering, has received several offers from top UK universities and will likely opt for Imperial College London. Like Li Lian, Nanthakumar a/l Krishnasamy and Sangeetaprivya a/p P. Siva have received several attractive offers but have set their hearts on studies in Chemical Engineering at Monash University. Despite pursuing different pathways, INTI’s high achievers were in consensus as they sang praises of their lecturers who have journeyed with them on the road to success. With lecturers who have over 20 years of experience lecturing Cambridge A Level subjects, the students are guaranteed the proper guidance and individualized attention to do well in their academic journey. “Our lecturers are excellent at what they do. They not only prepare us for the examination but also motivate and inspire us through various initiatives. Our chemistry lecturer, for example, would have us present in class in order to boost our confidence and enhance our understanding of the subject matter,” said Nanthakumar. Beyond the classroom, the students are also exposed to numerous initiatives that enhance their personal development and provide avenues for enhancing soft skills. The Pre-University Club provides students with opportunities to develop leadership and teamwork skills through campus activities and field trips to universities such as Nanyang Technology University in Singapore. For more information on INTI’s Cambridge A Level programme, please call 03-5623 2800 / 06-7982000 / 04-631 0138.